Kavanagh Tuite successfully teamed up with Arup to support DAA to deliver the new South Gates facility within Dublin Airport. 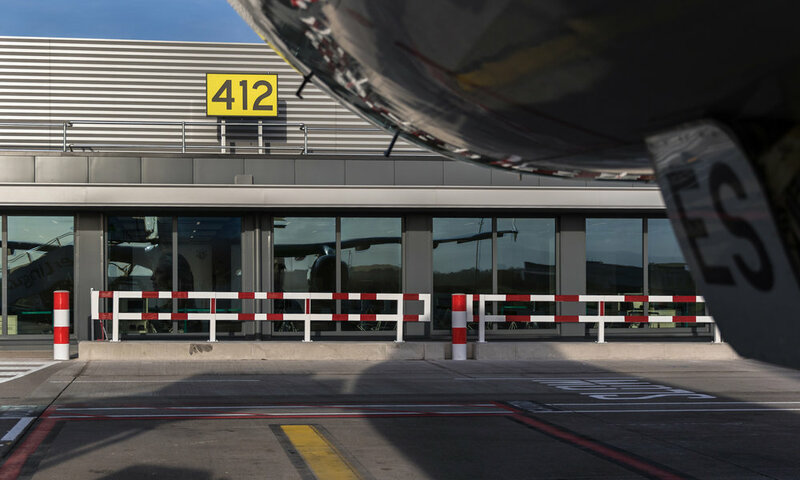 The South Gates were constructed airside on a live airport campus where the challenges of security and safety added to the project complexity. This €22 million boarding gate area was officially opened on December 11th 2017. Located south of Terminal 2, work on the new area, started early in 2017 on a fast track programme. This facility services nine aircraft stands on the South Apron providing a comfortable waiting area from which passengers can walk directly to the aircraft for boarding. The new South Gates area, which is used mainly by Aer Lingus for flights to the UK and continental Europe, has five boarding gates serving nine aircraft parking stands. 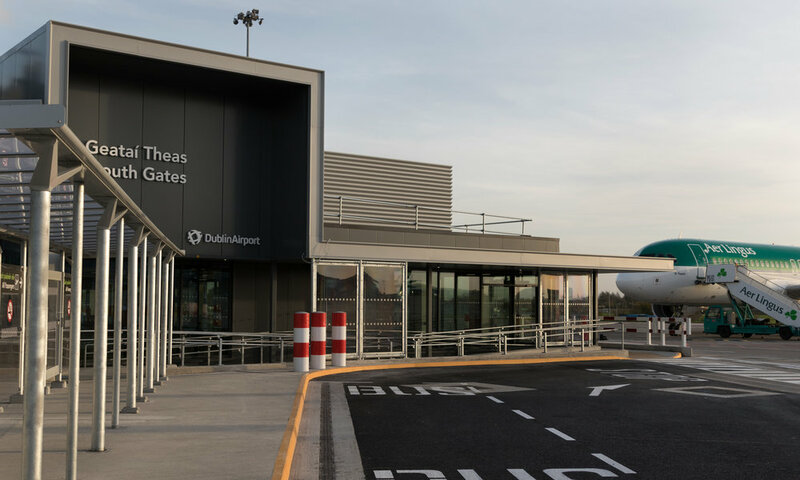 The South Gates boarding area is part of a €100 million plus investment programme at Dublin Airport, which aims to improve passenger and airfield areas and deliver new facilities. The facility comprises a single storey structure of lightweight modular construction, to meet the demands of the rapid construction programme. The 2,200 square metre facility was built offsite in 80 modules and then transported to Dublin Airport for final assembly. The gates have been designed to accommodate departing flights in the busy early morning period and arriving flights in the evening. The new facility can also be segregated so that departing and arriving passengers can be processed at the same time. Shuttle buses are in place to transport passengers to and from the new boarding gates. The new building can accommodate almost 1,000 passengers and includes a café, toilets, baby changing facilities and a workstation area with plugs and charging points.